IRAs offer retirement planners tax-advantaged savings. Investing in either a traditional IRA or a Roth IRA offers tax-advantaged retirement savings, but there are significant differences in the way each plan treats contributions and withdrawals. How you plan to use the money in retirement and the amount of tax you expect to pay are important considerations. Understanding these differences will help you choose the correct IRA for you. For tax year 2013, you can contribute up to $5500 -- $6500 if age 50 or over -- or the total of your taxable income to a traditional IRA. Contributions are generally tax-deductible and earnings in a traditional IRA grow tax-deferred. However, withdrawals are taxed as ordinary income, and if you are under age 59 1/2, you will pay an additional 10-percent penalty. You must begin taking required minimum distributions from a traditional IRA when reach age 70 1/2. The amount of the required minimum distribution depends on your age and the size of the account. Failure to take at least the minimum will result in a 50-percent excess accumulation penalty. Roth IRA contributions are not tax-deductible, and the maximum contribution limits are the same as for traditional IRAs. If your income is above certain levels, the amount of your contribution will be reduced or phased out. Single and head-of-household taxpayers earning more than $112,000, and joint filers earning more than $178,000, face reduced or zero eligibility to contribute to a Roth IRA in tax year 2013. In contrast to traditional IRAs, though, withdrawals from a Roth IRA can be made tax-free, provided you are over age 59 1/2 and the account has been open for at least five years. You are never required to take distributions from a Roth IRA, regardless of age. If you are under age 59 1/2, both traditional and Roth IRAs allow you to take money without penalty in certain circumstances, such as disability. You may also withdraw up to $10,000 to purchase a first home for yourself or certain family members, such as your spouse, children, grandchildren or parents. You can choose from a wide variety of investments to hold in either type of IRA, including stocks, bonds, mutual funds and CDs. If you plan to use the money in your IRA during retirement and you expect to be in a lower tax bracket than during your working years, you may wish to take advantage of the current tax break offered by a traditional IRA. The tax-free contributions also allow you to put more money in the account to grow long-term. If, however, you expect to be in a higher tax bracket in retirement, the tax-free withdrawals of a Roth IRA might be a better option. Because you aren’t required to take distributions, you can leave the money in the account if you don’t need it to pass on to your heirs after your death. 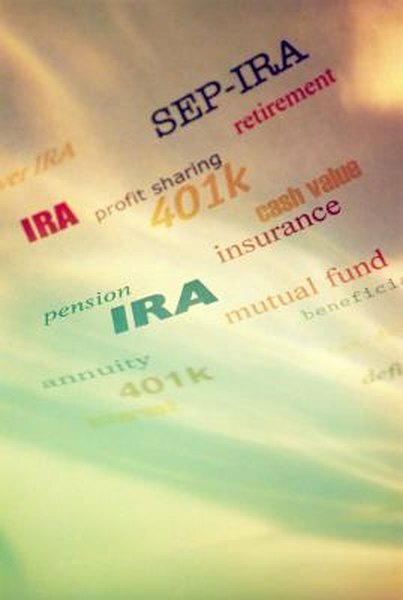 Consult a financial adviser to determine which type of IRA is best for your situation. Ben Bontekoe is a published writer with an extensive background in personal finance, banking, career counseling and education. A graduate of Calvin College, he has worked for major financial institutions including Bank of America and Citibank. At What Age Can I Draw Funds From an IRA Without Paying Taxes or Penalties?